19 Teams took to the Cheshire fairways on a sunny July morning. The course was a picture postcard and inviting some good golf to be played. On Day 1 the golfers were playing the challenging and tight Premier course at Portal. With their goody bags safely tucked away, the players set about putting in a good day 1. The scoring average on day 1 was about 32pts. It was Andy Smith from Hampshire leading the way with a 41 on day 1, hot on his heals was Tim Beech from West Mids. with 39 and it was Danny Huff of Cheshire and Simon Shaw of Scott Safety both with 38 points making up the top 3 places, as only 7 people broke par on the first day. In the team event it was West Midlands (110) who took a narrow 1 point lead over Hampshire (109) into day 2, with Hertfordshire and Kent 1 (both 103) a further 6 points adrift in joint 3rd place. After a few drinks, a few games of Black Jack or roulette, a good sleep and a hearty breakfast it was on to day 2. Day 2 was a shotgun start on the longer Championship course at Portal. In the individual event it was Ste Fraser who put in a marvellous 41 points, 11 points better than his day 1 score, Jack Gaskell of Cheshire added a 40 points to his day 1 round of 37, Andy Smith also backed up his round 1 score with a fantastic 38 points, on the same score of 38 was Neil McFadyn of Cumbria. 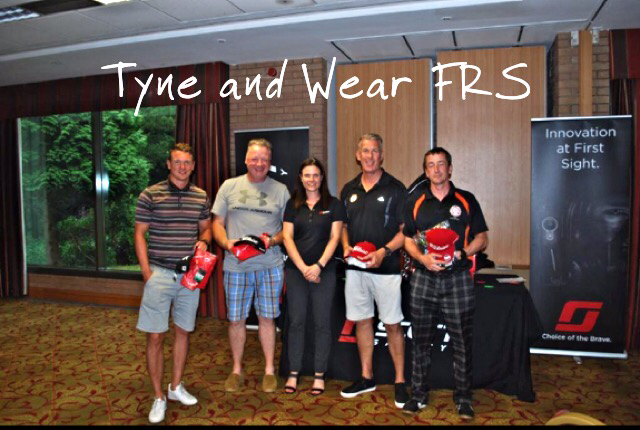 The team event saw West Midlands come out on top again with a joint score of 107 on day 2 with Tyne and wear in 2nd with 105 and Hampshire 3rd on 104. With the results in and the barbecue lunch eaten, it was on to the presentation. 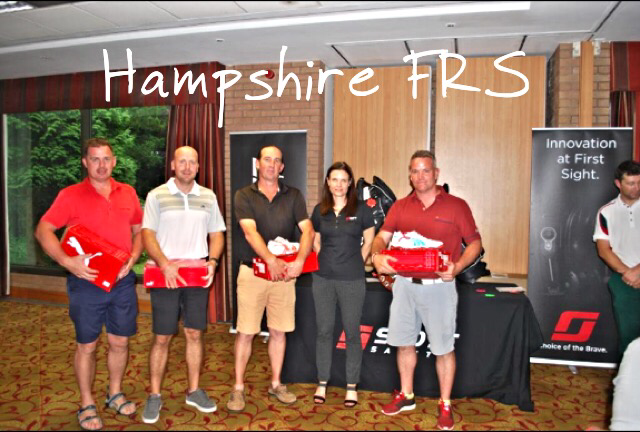 First place team went to West Midlands with a 217 total, 2nd place went to Hampshire with a total of 213 and in 3rd place was Tyne and Wear with a total of 206 points. 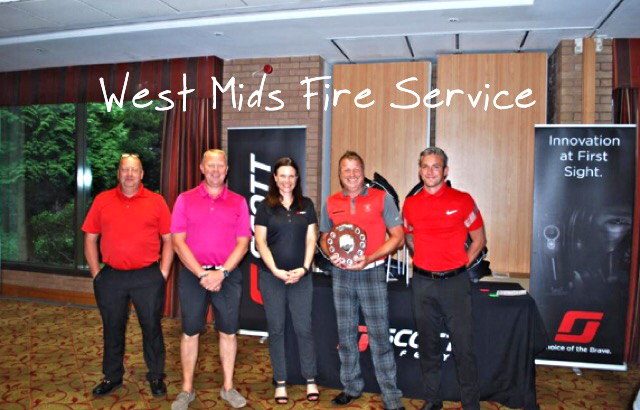 Another big winner was the Fire Service Charity who benefitted from a cheque of £1,110 from monies raised during the casino night and the charity challenges on the 2 holes on either day.